The ninth round of the Lucas Oil Pro Motocross Championship brought the world's best riders to the scenic Pacific Northwest and one of the sport's most legendary venues at Washougal MX Park. 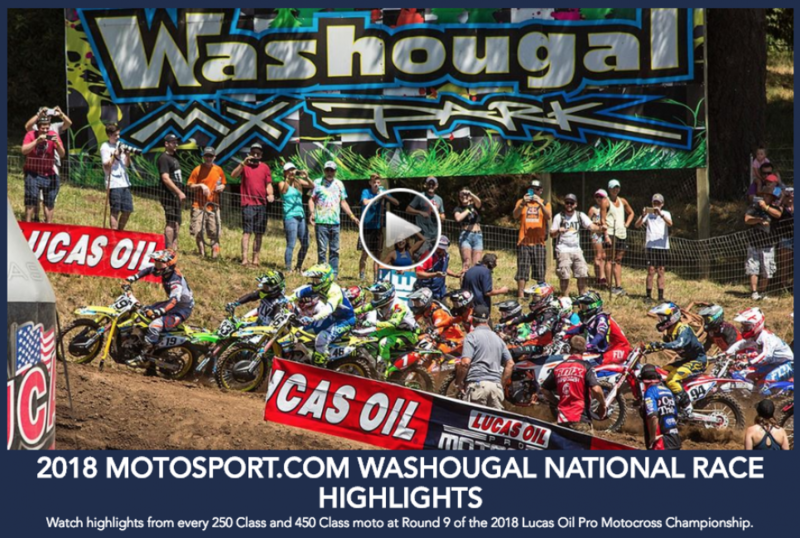 The Motosport.com Washougal National featured exceptional action in both the 450 Class and 250 Class, and in the end each respective championship leader claimed victory, albeit in very different ways. In the premier class, Monster Energy Kawasaki's Eli Tomac put on a showcase of aggression en route to a 1-1 sweep for his seventh win of the season. In the 250 Class, Monster Energy/Yamalube/Star/Yamaha's Aaron Plessinger was consistent enough to emerge with the win despite unlikely 4-3 moto scores, building an even bigger cushion on his commanding lead in the championship.